Teaching our kids to code is vital for our tech-packed present and future, and there are many different tools available to the programming student – from crawling bots to play dough circuits to build-it-yourself kits. Entertaining and educational as such things can be, few can claim to be magical. 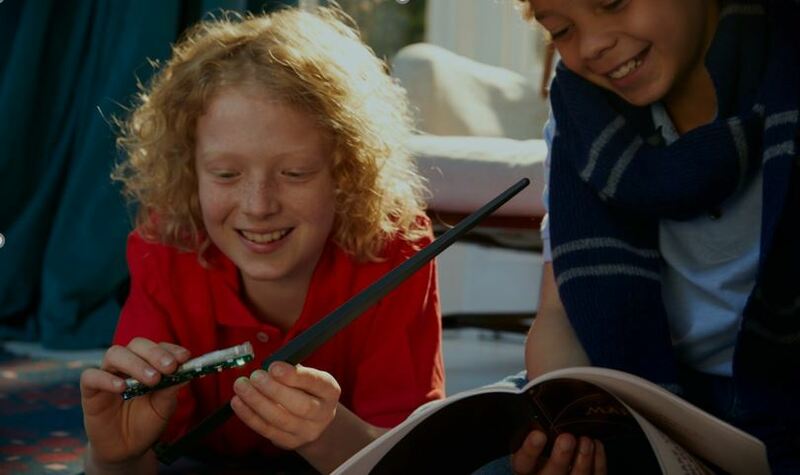 Now Kano has teamed up with the Warner Brothers Consumer Products wing to launch the first Harry Potter STEM product, a wireless wand that’s assembled by a would-be wizard and used to cast spells on a tablet. Students using the Harry Potter Kano Coding Kit are required to create a wireless wand with the help of a step-by-step manual, while also learning about the sensors in use, how to code and so on. Read more at New Atlas.